I did a poll on my Instagram yesterday following my instastory wearing a pair of cool new blue shades. The poll was to find out deets on where to find these shades. The crowd has spoken! 80% voted Yes they wanted more details, so as requested I am featuring all of the info. Are you a shady person? Well, I am definitely a shady person, but not in the way you think. I just love shades! My current obsession right now is the brand Quay Australia . When I'm not wearing The Poshpeople these are the shades you will most likely see me wearing. I just love the way they fit my face. Generally I wear large frames to fit my big head (LOL). With Quay I never run into any issue with the size of the shades fitting my face, they always fit perfect. The shades worn in the above picture are the Quay Australia Likety Split Aviator Sunglasses . I scored these shades from ASOS last month for my Cartagena Trip . Can you believe these beauties were even on sale! WINNING!! I purchased these sunnies for a whopping $16 bucks (regularly $65). I maybe a shopaholic, but I am always shopping on Sale! Unfortunately, they are now sold out. But Fear not you can get a similar pair at Quay! 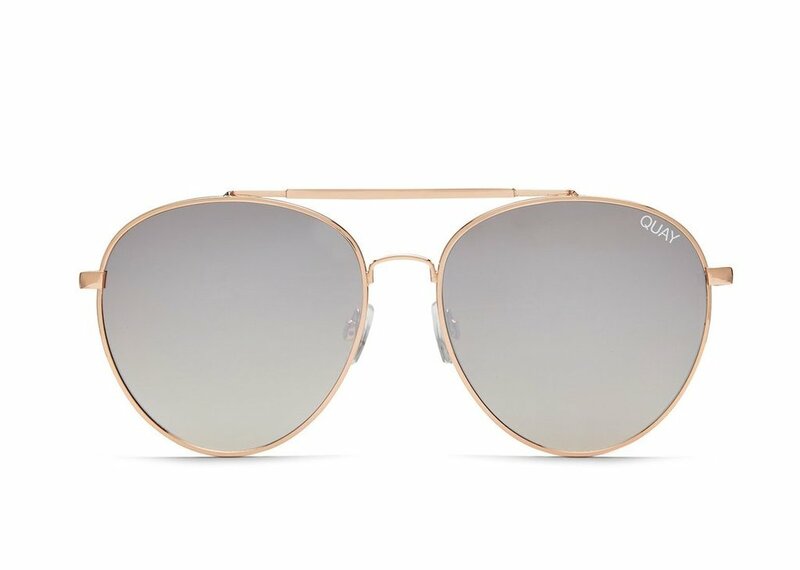 Cop these shades now in Gold on the Quay website for $55. What do you think about these Shades? Would you wear them? Don't be shady and comment below LOL. Have you subscribed to our blog? If not, get updated on all our posts by joining our subscriber list below ! Living My Life Like It's Golden !